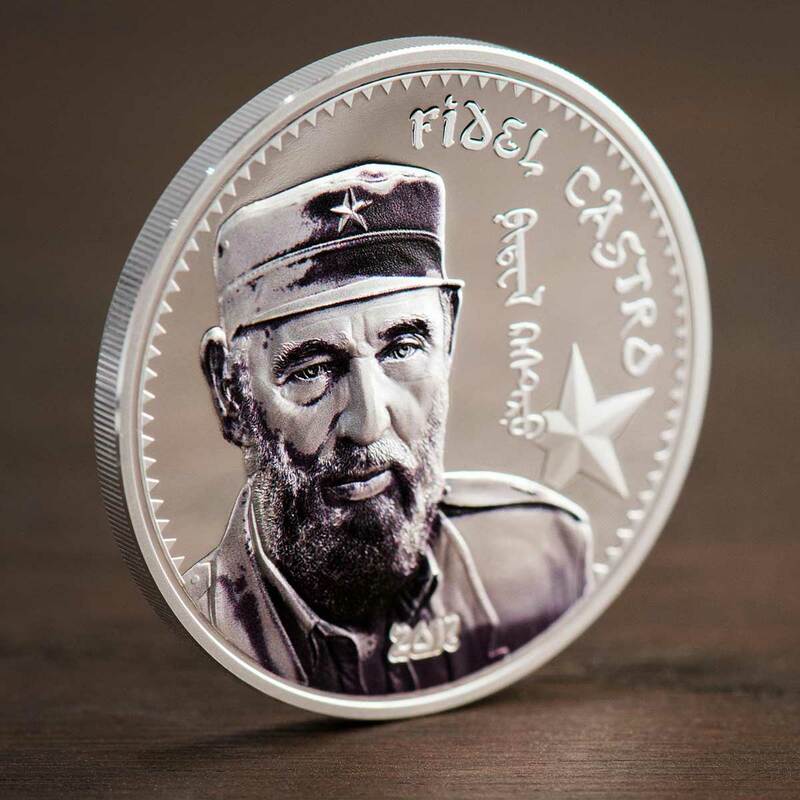 A fantastic subject for a coin series, the worlds revolutionary figures have, often for the wrong reasons, entered popular culture in ways that are hard to tie in with the historical people. They often have outsized reputations enhanced by tall tales and iconic photographs. 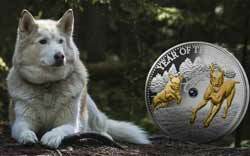 Despite their ubiquity worldwide, they’ve appeared on hardly any modern coins over the last decade. 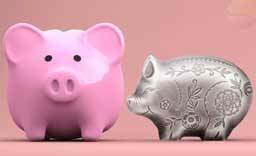 CIT Coin Invest have helped rectify that, and have done so with some style. 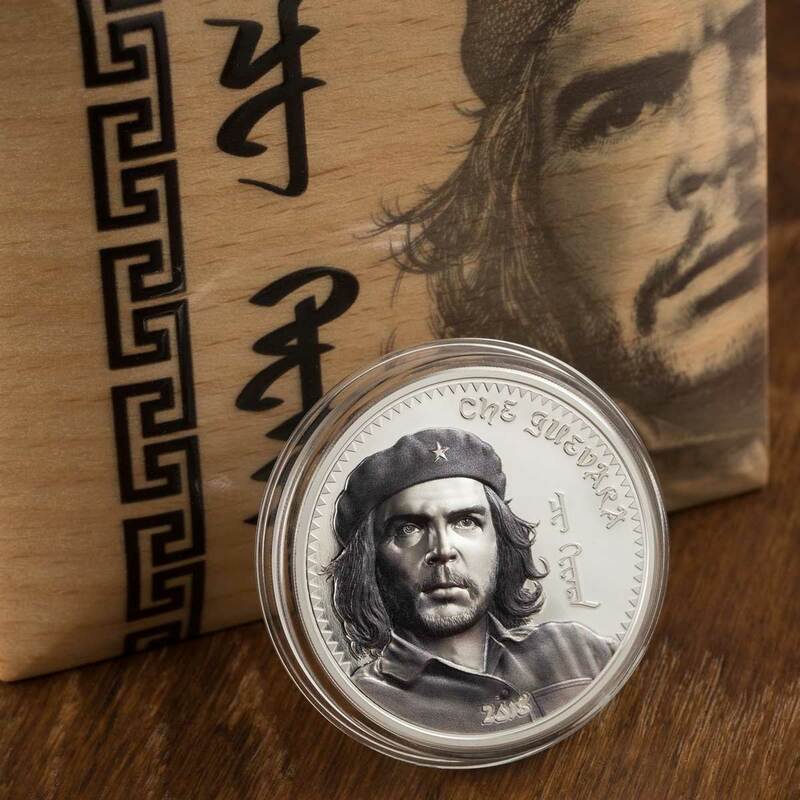 The new series debuted back in 2014 and was a one-ounce fine silver issue – one of CIT’s standard ranges in amongst all the high profile and high-end issues like Tiffany Art. 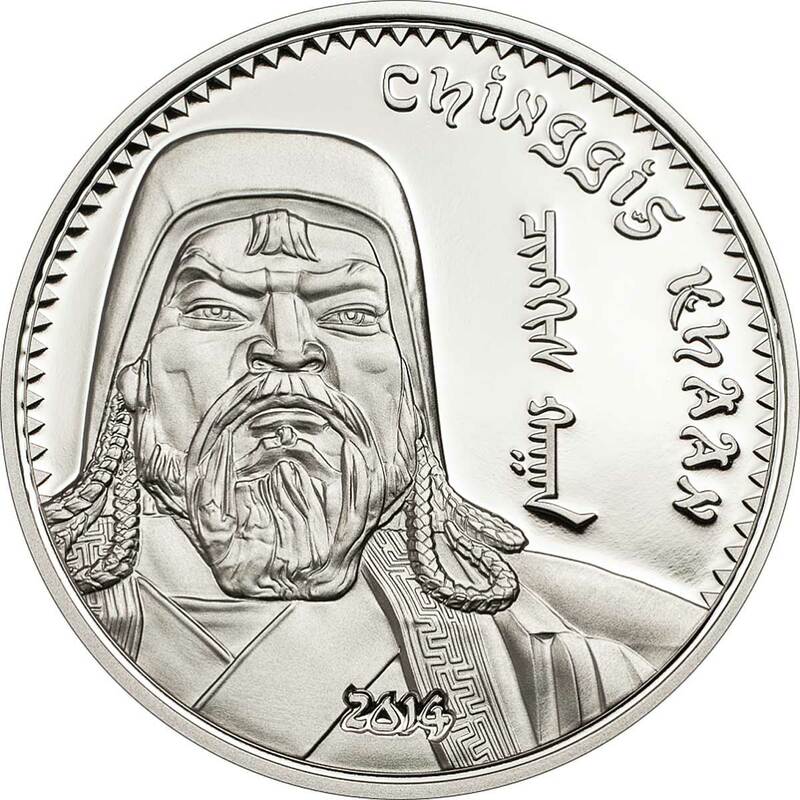 A great looking depiction of Chinggis Khan based on the extraordinary Mongolian metal statue raised on the steppes to celebrate his life, the coin was available in coloured and uncoloured variants, both with a proof finish. The coloured version had more of a highlighted monochrome look and used a new technique. This might have remained a decent little series had it continued, but there was nothing in 2015, so we believed it was a one-off issue. In 2016 however, smartminting burst onto the scene and CIT decided this was the perfect showcase for what it brought to the industry. 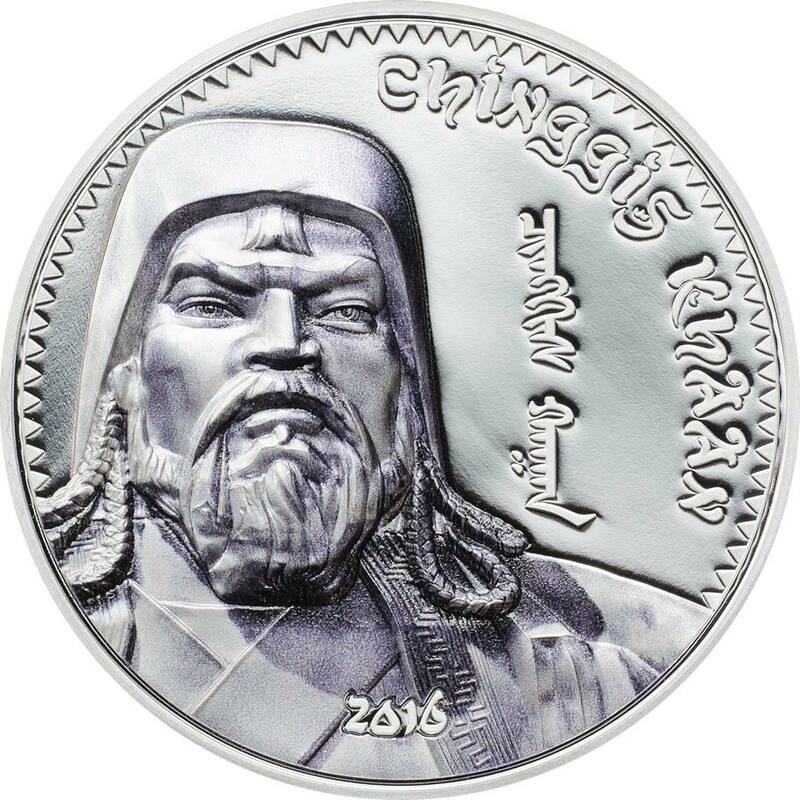 Reissued in 2016 using the groundbreaking new technical process, the Chinggis Khan coin came alive and, as we reported on its release, was one of our highlights at the 2016 World Money Fair in Berlin. It’s hard to do great quality faces on coins, but this one actually seemed to follow you around the room as you stared at it. The producer cleverly used the 2016 alongside the 2014 original to tout the benefits of smartminting. It was impressive. 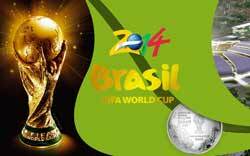 If it wasn’t a series in 2014, it was now, and CIT have continued to issue a new design annually ever since. Castro, Guevara and Marx have all had releases and each has been a quite extraordinary realisation of the individual. There’s absolutely no question in each case just who is being represented. 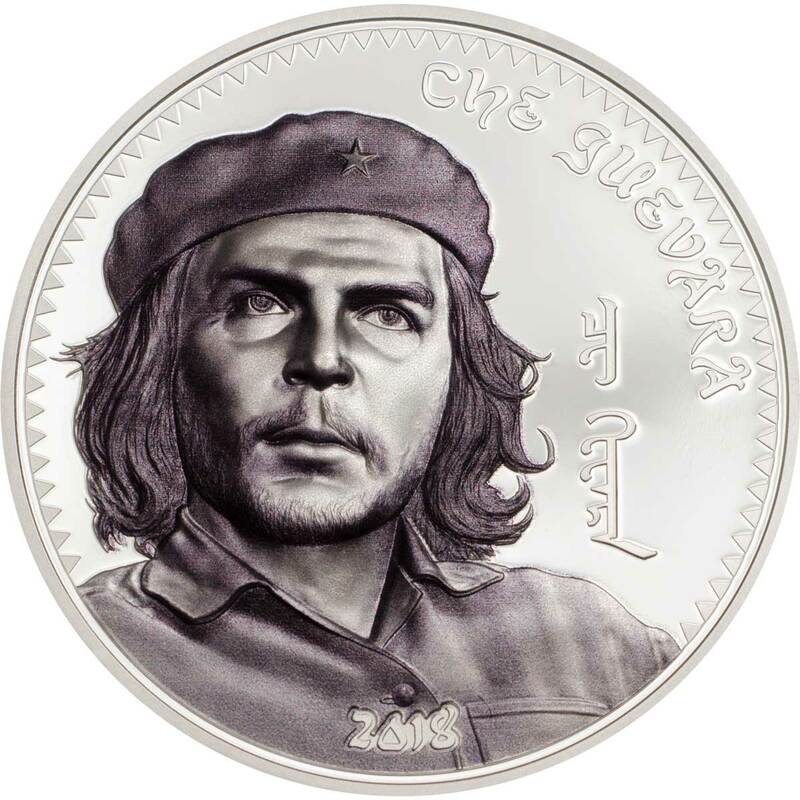 The Che Guevara coin in particular, drawing inspiration from the ultra-famous and iconic photograph of the man, is a triumph of numismatic art. 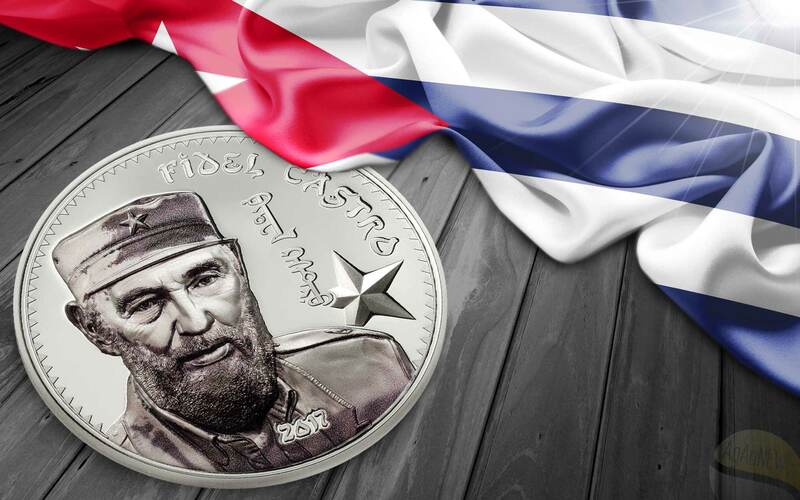 We have no hesitation in saying that nobody does faces on coins better than those in this series. Each issue comes boxed in one of the standard wooden items that CIT uses quite widely, and they carry a themed lid. Mintages are pretty tight at 1,000 pieces each and there is an un-serialised certificate of authenticity enclosed. A second variant of each issue is also on offer, and this one also comes with a certificate, but is unboxed, although encapsulated. 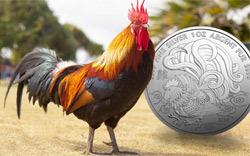 Regular CIT buyers will know that this Liechtenstein-based producer has long been a champion of the 0.5 gram minigold format, and it’s no surprise to see this series enjoy a similar release. Smartminting wasn’t usable on gold coins in 2016, so the 2014 and 2016 issues were standard 11 mm diameter affairs. 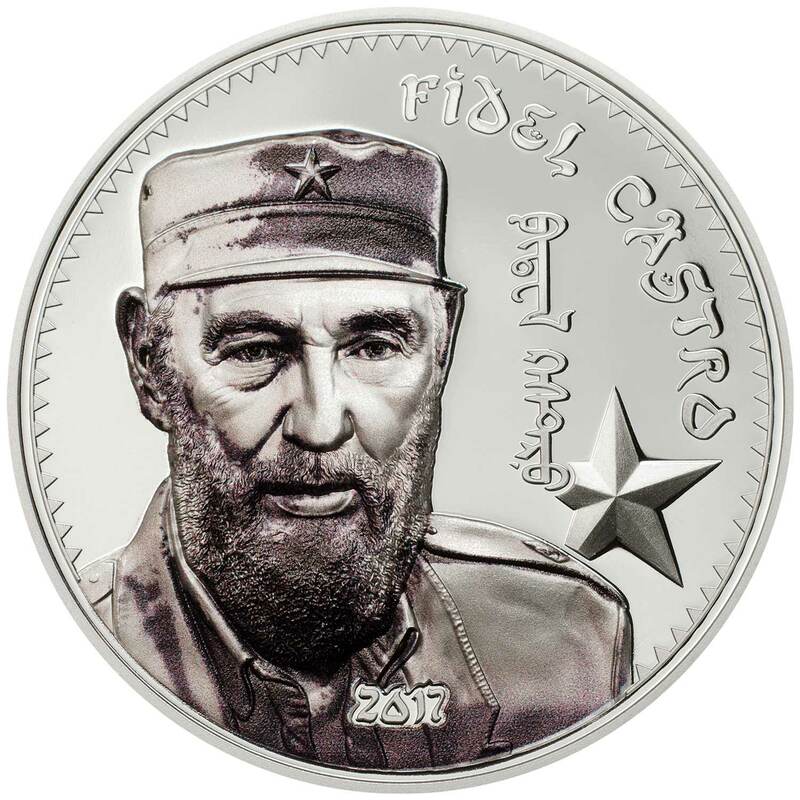 In 2017, CIT announced Big Gold Minting (BGM) and it was used on the Fidel Castro minigold coin to increase the level of fine detail while simultaneously upping the diameter to 13.92 mm, an increase in surface area of 60% with zero increase in weight. 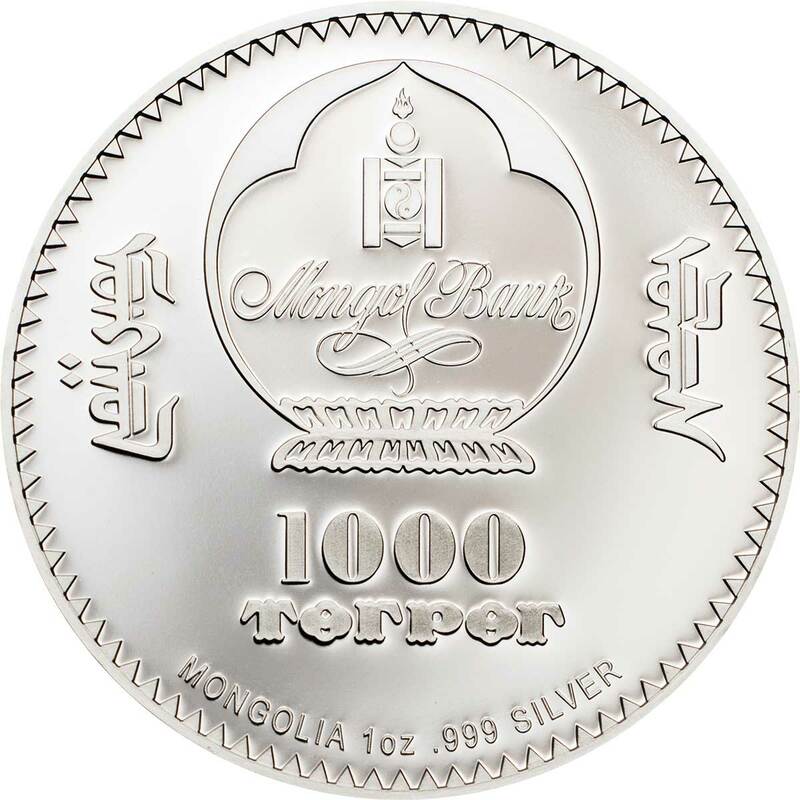 The gold coins ape the silver designs, but obviously lack the high-relief. BGM or no BGM, there’s only so much you can do with half a gram of dense metal. As you might have guessed, we love this series. A fascinating subject and a quite outstanding set of designs mean we look forward to this one at least as much as this talented producers flagship ranges. Long may Revolutionaries continue. 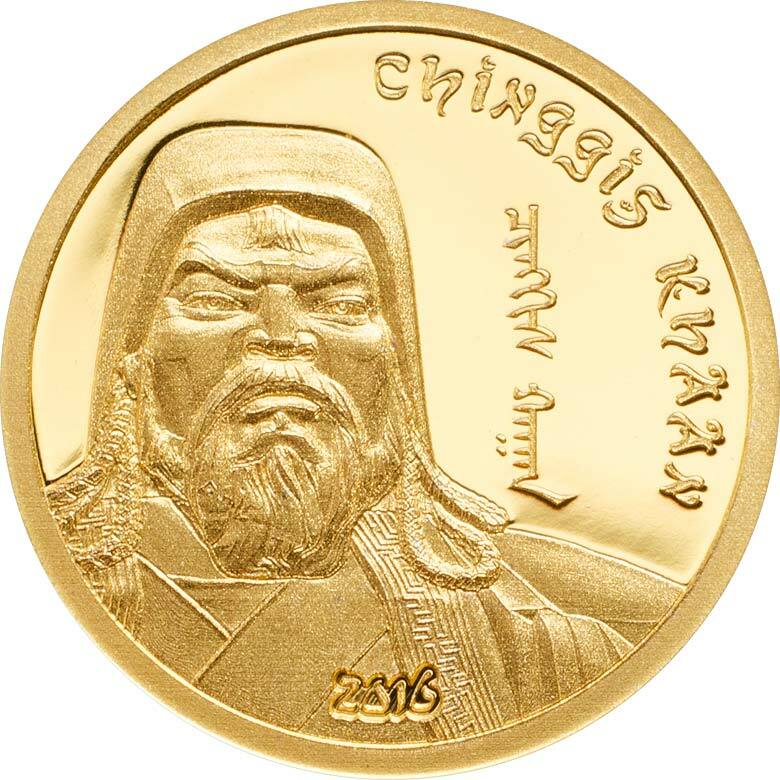 Genghis Khan (born Temüjin, c. 1162 – August 18, 1227], was the founder and first Great Khan of the Mongol Empire, which became the largest contiguous empire in history after his death. He came to power by uniting many of the nomadic tribes of Northeast Asia. After founding the Empire and being proclaimed “Genghis Khan”, he launched the Mongol invasions that conquered most of Eurasia. Campaigns initiated in his lifetime include those against the Qara Khitai, Caucasus, and Khwarazmian, Western Xia and Jin dynasties. These campaigns were often accompanied by large-scale massacres of the civilian populations – especially in the Khwarazmian and Western Xia controlled lands. By the end of his life, the Mongol Empire occupied a substantial portion of Central Asia and China. Before Genghis Khan died he assigned Ögedei Khan as his successor. Later his grandsons split his empire into khanates. Genghis Khan died in 1227 after defeating the Western Xia. By his request, his body was buried in an unmarked grave somewhere in Mongolia. His descendants extended the Mongol Empire across most of Eurasia by conquering or creating vassal states in all of modern-day China, Korea, the Caucasus, Central Asia, and substantial portions of Eastern Europe and Southwest Asia. Many of these invasions repeated the earlier large-scale slaughters of local populations. As a result, Genghis Khan and his empire have a fearsome reputation in local histories. Beyond his military accomplishments, Genghis Khan also advanced the Mongol Empire in other ways. 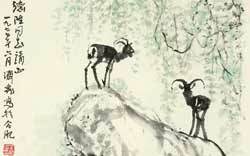 He decreed the adoption of the Uyghur script as the Mongol Empire’s writing system. He also practiced meritocracy and encouraged religious tolerance in the Mongol Empire, and unified the nomadic tribes of Northeast Asia. Present-day Mongolians regard him as the founding father of Mongolia. 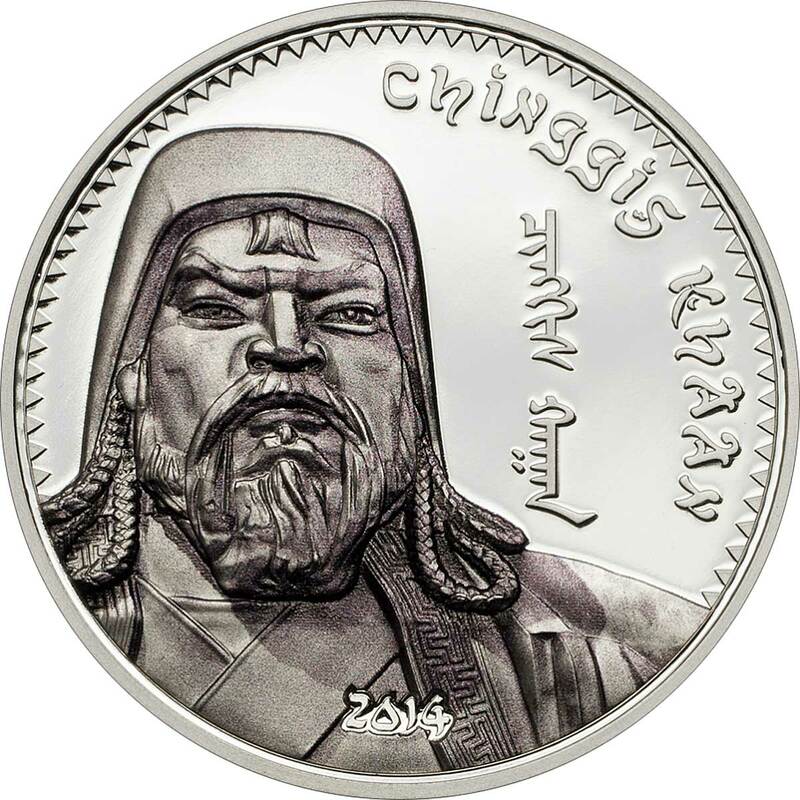 Genghis Khan was known for the brutality of his campaigns, and is considered by many to have been a genocidal ruler. 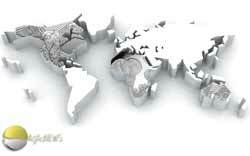 However, he is also credited with bringing the Silk Road under one cohesive political environment. This brought relatively easy communication and trade between Northeast Asia, Muslim Southwest Asia, and Christian Europe, expanding the cultural horizons of all three areas. The Genghis Khan Equestrian Statue, part of the Genghis Khan Statue Complex is a 40-metre (131 ft 3 in) tall statue of Genghis Khan on horseback, on the bank of the Tuul River at Tsonjin Boldog (54 km (33.55 mi) east of the Mongolian capital Ulaanbaatar), where according to legend, he found a golden whip. The statue is symbolically pointed east towards his birthplace. It is on top of the Genghis Khan Statue Complex, a visitor centre, itself 10 metres (32 ft 10 in) tall, with 36 columns representing the 36 khans from Genghis to Ligdan Khan. It was designed by sculptor D. Erdenebileg and architect J. Enkhjargal and erected in 2008. 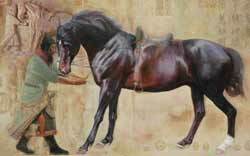 Visitors walk to the head of the horse through its chest and neck, where they can have a panoramic view. The main statue area will be surrounded by 200 Ger, yurt camps, designed and arranged like the pattern of the horse brand marks that were used by the 13th century Mongol tribes. The cost of the complex is reported to be $4.1 million, spent by The Genco Tour Bureau, a Mongolian company. The attached museum has exhibitions relating to the Bronze Age and Xiongnu archaeological cultures in Mongolia, which show everyday utensils, belt buckles, knives, sacred animals, etc. and a second exhibition on the Great Khan period in the 13 and 14th centuries which has ancient tools, goldsmith subjects and some Nestorian crosses and rosaries. Next to the museum there is a tourist and recreation center, which covers 212 hectares (520 acres). 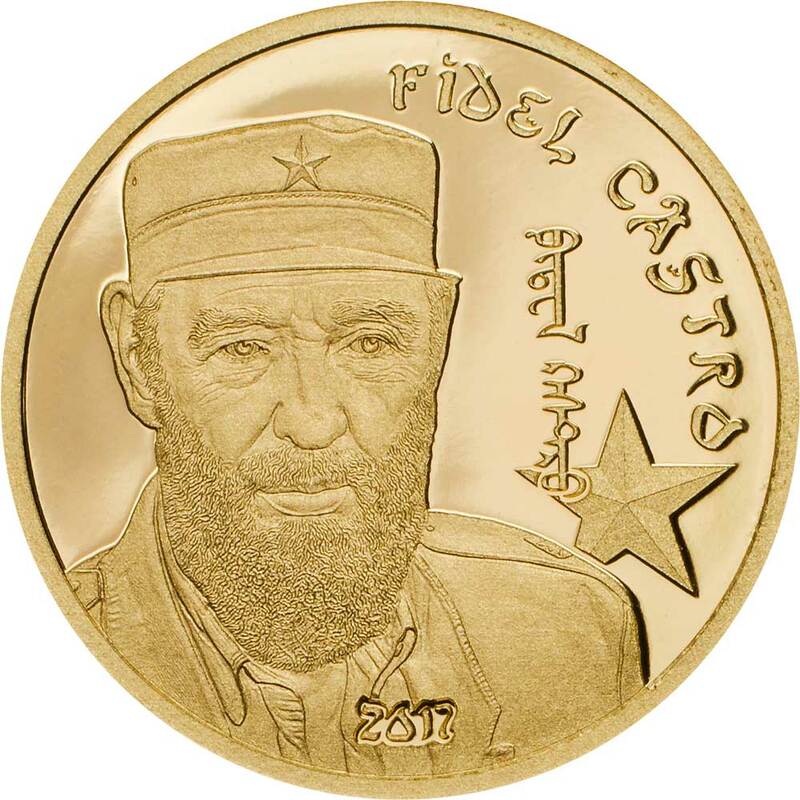 Fidel Alejandro Castro Ruz (August 13, 1926 – November 25, 2016) was a Cuban revolutionary and politician who governed the Republic of Cuba as Prime Minister from 1959 to 1976 and then as President from 1976 to 2008. Politically a Marxist–Leninist and Cuban nationalist, he also served as the First Secretary of the Communist Party of Cuba from 1961 until 2011. Under his administration, Cuba became a one-party socialist state; industry and business were nationalized, and state socialist reforms were implemented throughout society. Castro is a polarizing world figure. His supporters view him as a champion of socialism and anti-imperialism whose revolutionary regime advanced economic and social justice while securing Cuba’s independence from American imperialism. Critics view him as a dictator whose administration oversaw human-rights abuses, the exodus of a large number of Cubans, and the impoverishment of the country’s economy. He was decorated with various international awards and significantly influenced various individuals and groups across the world. 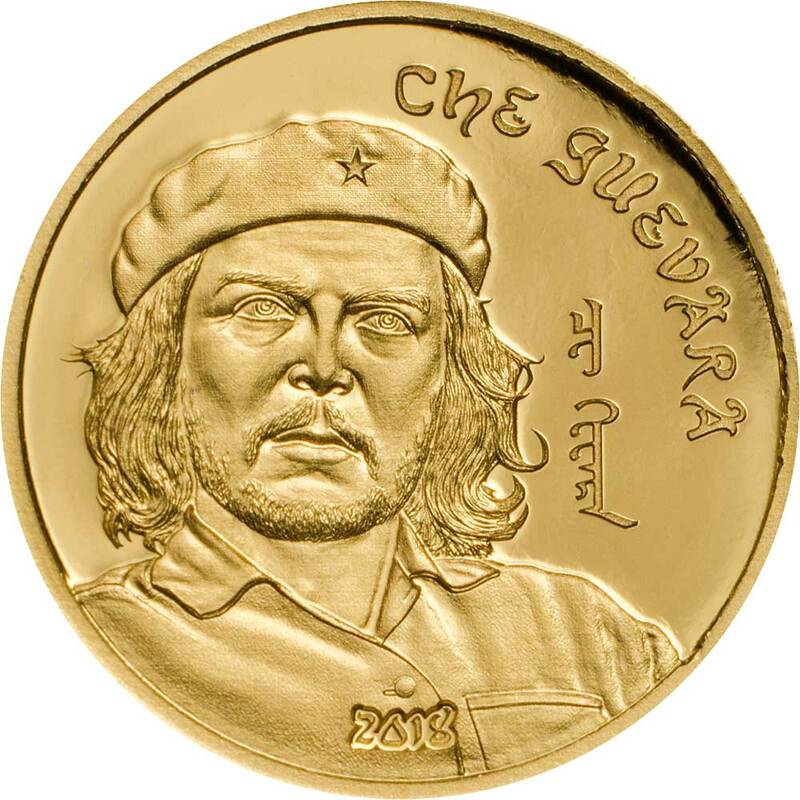 Ernesto “Che” Guevara (June 14, 1928 – October 9, 1967) was an Argentine Marxist revolutionary, physician, author, guerrilla leader, diplomat and military theorist. A major figure of the Cuban Revolution, his stylized visage has become a ubiquitous countercultural symbol of rebellion and global insignia in popular culture. As a young medical student, Guevara traveled throughout South America and was radicalized by the poverty, hunger and disease he witnessed. His burgeoning desire to help overturn what he saw as the capitalist exploitation of Latin America by the United States prompted his involvement in Guatemala’s social reforms under President Jacobo Árbenz, whose eventual CIA-assisted overthrow at the behest of the United Fruit Company solidified Guevara’s political ideology. 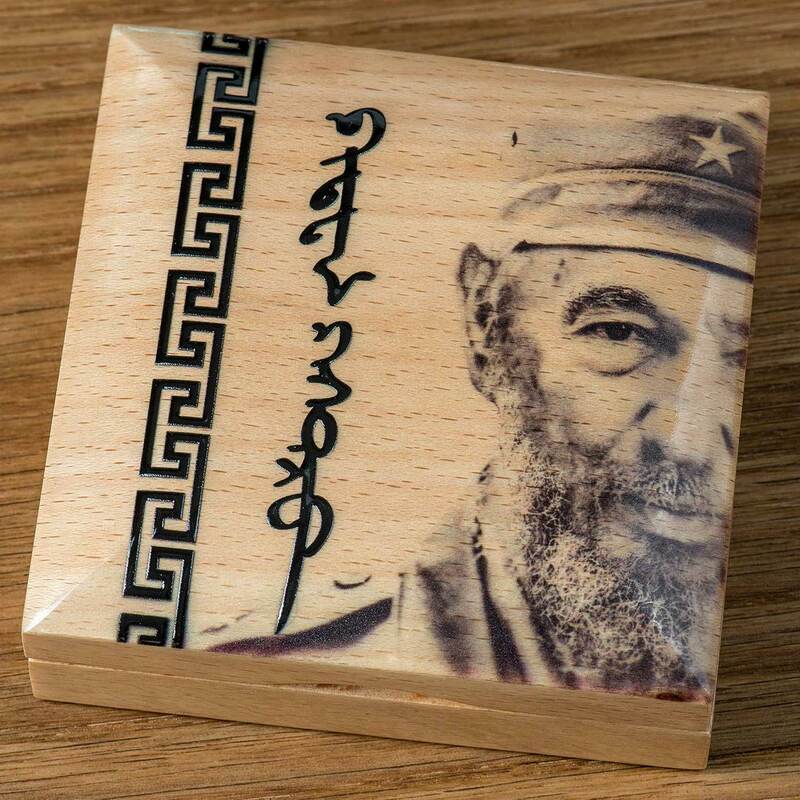 Later in Mexico City, Guevara met Raúl and Fidel Castro, joined their 26th of July Movement and sailed to Cuba aboard the yacht Granma with the intention of overthrowing U.S.-backed Cuban dictator Fulgencio Batista. Guevara soon rose to prominence among the insurgents, was promoted to second in command and played a pivotal role in the victorious two-year guerrilla campaign that deposed the Batista regime. Following the Cuban Revolution, Guevara performed a number of key roles in the new government. These included reviewing the appeals and firing squads for those convicted as war criminals during the revolutionary tribunals, instituting agrarian land reform as minister of industries, helping spearhead a successful nationwide literacy campaign, serving as both national bank president and instructional director for Cuba’s armed forces, and traversing the globe as a diplomat on behalf of Cuban socialism. Such positions also allowed him to play a central role in training the militia forces who repelled the Bay of Pigs Invasion, and bringing Soviet nuclear-armed ballistic missiles to Cuba, which precipitated the 1962 Cuban Missile Crisis. Additionally, Guevara was a prolific writer and diarist, composing a seminal manual on guerrilla warfare, along with a best-selling memoir about his youthful continental motorcycle journey. His experiences and studying of Marxism–Leninism led him to posit that the Third World’s underdevelopment and dependence was an intrinsic result of imperialism, neocolonialism and monopoly capitalism, with the only remedy being proletarian internationalism and world revolution. Guevara left Cuba in 1965 to foment revolution abroad, first unsuccessfully in Congo-Kinshasa and later in Bolivia, where he was captured by CIA-assisted Bolivian forces and summarily executed. Guevara remains both a revered and reviled historical figure, polarized in the collective imagination in a multitude of biographies, memoirs, essays, documentaries, songs and films. As a result of his perceived martyrdom, poetic invocations for class struggle and desire to create the consciousness of a “new man” driven by moral rather than material incentives, Guevara has evolved into a quintessential icon of various leftist movements. Time magazine named him one of the 100 most influential people of the 20th century, while an Alberto Korda photograph of him, titled Guerrillero Heroico , was cited by the Maryland Institute College of Art as “the most famous photograph in the world”. 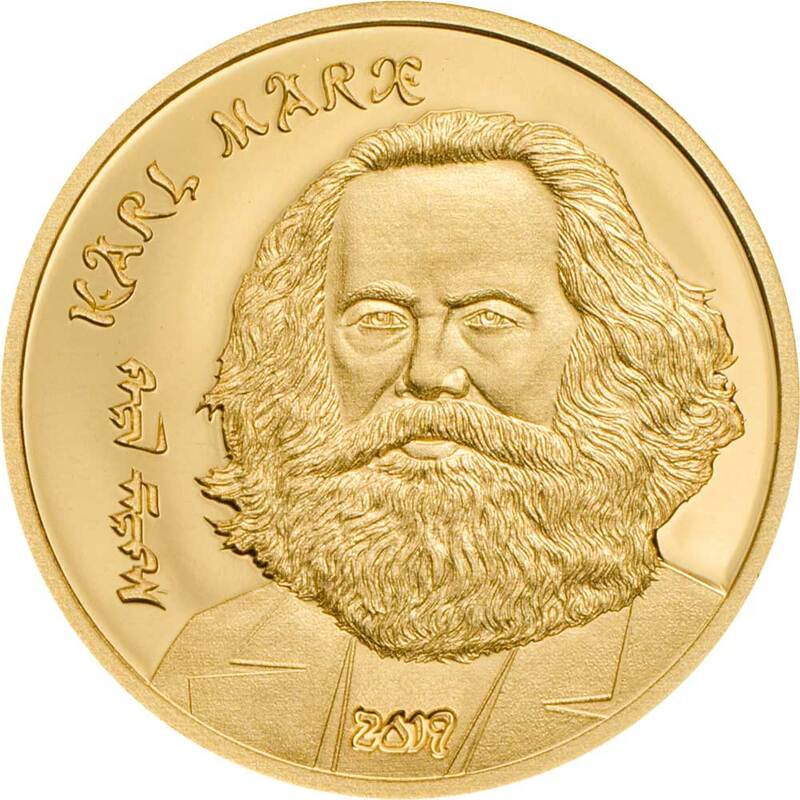 Karl Marx [ 5 May 1818 – 14 March 1883) was a German philosopher, economist, historian, sociologist, political theorist, journalist and socialist revolutionary. 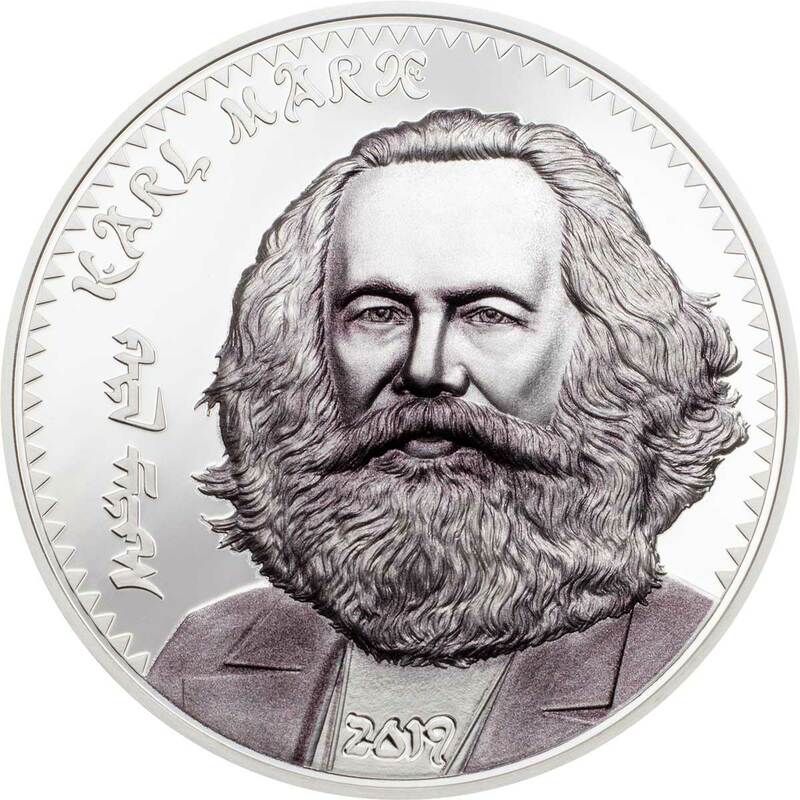 Born in Trier, Germany, Marx studied law and philosophy at university. He married Jenny von Westphalen in 1843. Due to his political publications, Marx became stateless and lived in exile with his wife and children in London for decades, where he continued to develop his thought in collaboration with German thinker Friedrich Engels and publish his writings, researching in the reading room of the British Museum. His best-known titles are the 1848 pamphlet, The Communist Manifesto, and the three-volume Das Kapital. His political and philosophical thought had enormous influence on subsequent intellectual, economic and political history and his name has been used as an adjective, a noun and a school of social theory. 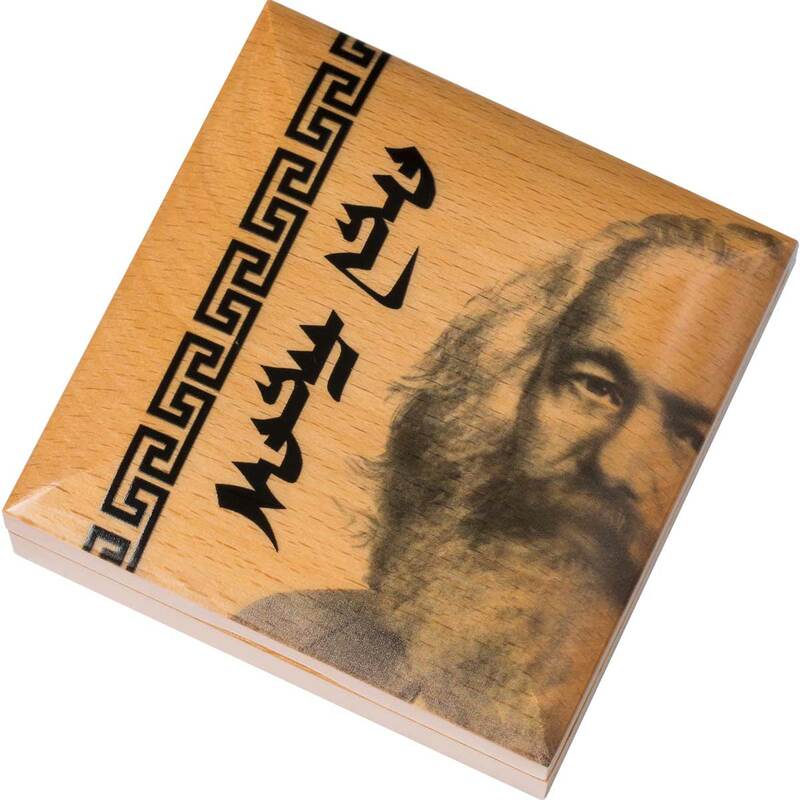 Marx’s theories about society, economics and politics – collectively understood as Marxism – hold that human societies develop through class struggle. In capitalism, this manifests itself in the conflict between the ruling classes (known as the bourgeoisie) that control the means of production and the working classes (known as the proletariat) that enable these means by selling their labour power in return for wages. 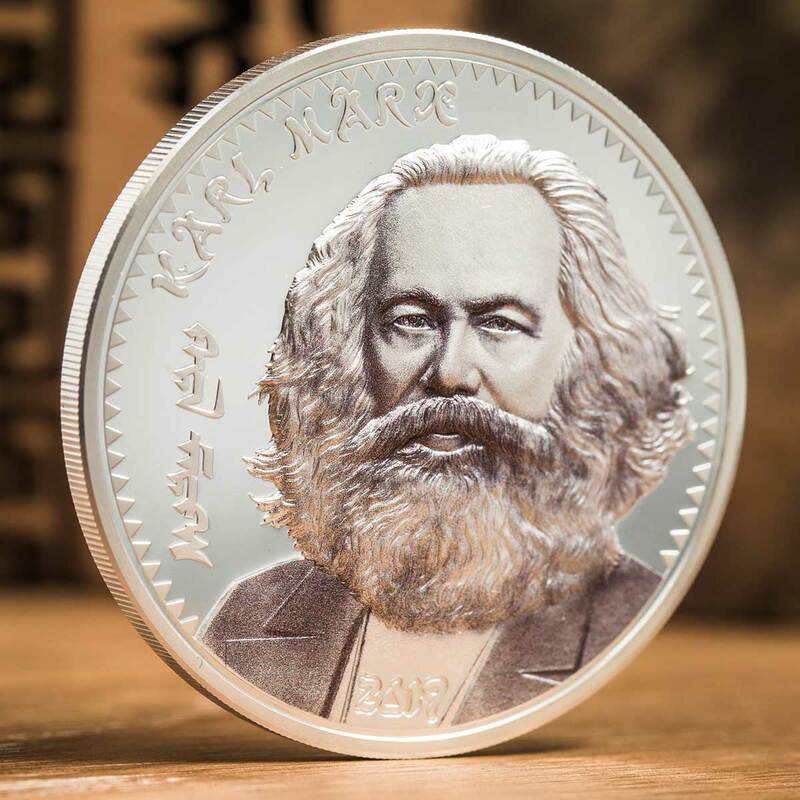 Employing a critical approach known as historical materialism, Marx predicted that, like previous socio-economic systems, capitalism produced internal tensions which would lead to its self-destruction and replacement by a new system: socialism. For Marx, class antagonisms under capitalism, owing in part to its instability and crisis-prone nature, would eventuate the working class’ development of class consciousness, leading to their conquest of political power and eventually the establishment of a classless, communist society constituted by a free association of producers. Marx actively pressed for its implementation, arguing that the working class should carry out organised revolutionary action to topple capitalism and bring about socio-economic emancipation. Marx has been described as one of the most influential figures in human history, and his work has been both lauded and criticised. His work in economics laid the basis for much of the current understanding of labour and its relation to capital, and subsequent economic thought. Many intellectuals, labour unions, artists and political parties worldwide have been influenced by Marx’s work, with many modifying or adapting his ideas. Marx is typically cited as one of the principal architects of modern social science. 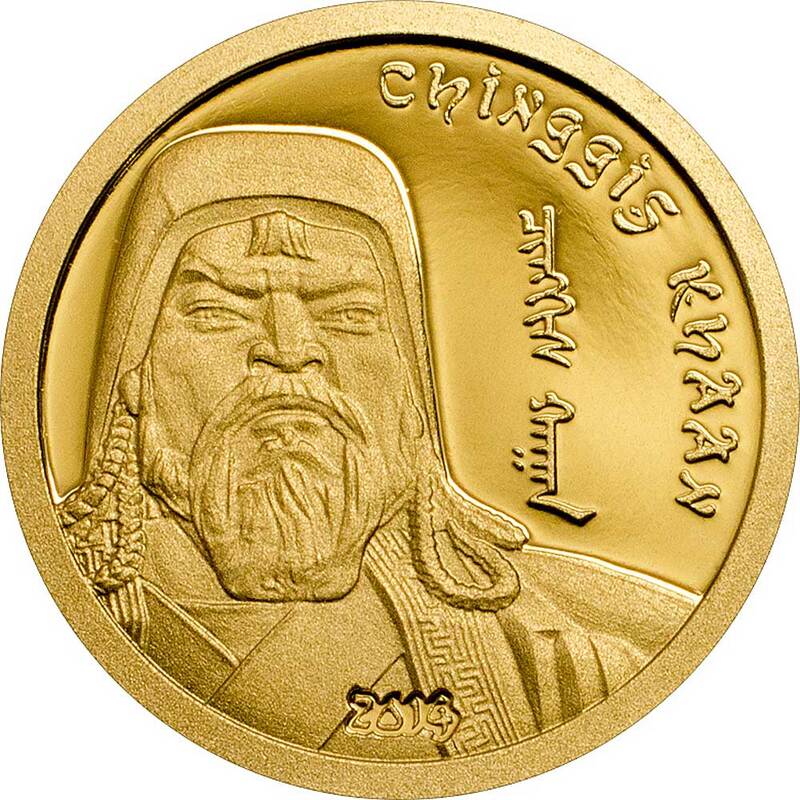 The obverse is common to the series, with the gold and silver coins even having the same 1,000 Togrog (best currency name ever!) denomination. The coin composition is inscribed at the bottom, even on the tiny minigold, with the denomination directly above it. 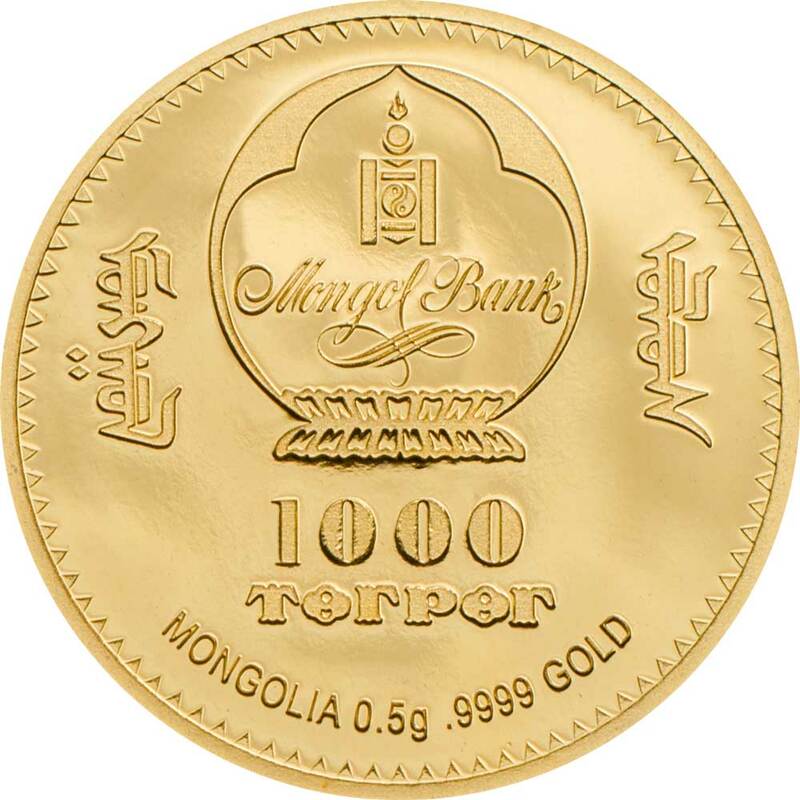 To the left and right are issue details in Mongolian script, but the biggest element here is the symbol of the Mongol Bank. 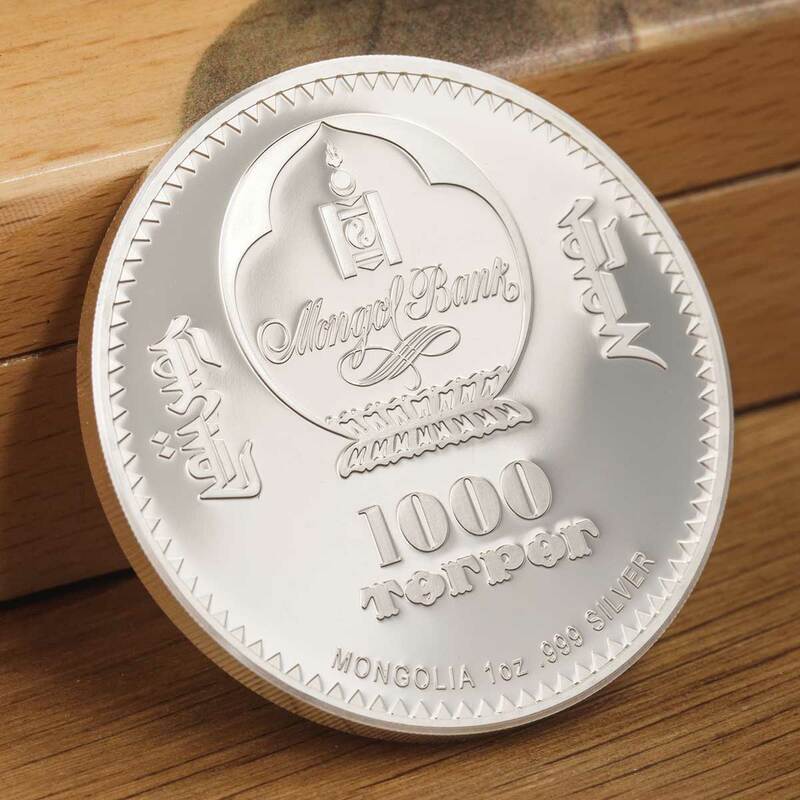 There was a change in the script used to write ‘Mongol Bank’, back in 2018, but that mainly seemed to be the capitalisation of the ‘B’ in bank. A pattern runs around the edge of this face – again, on all variants.